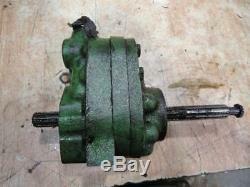 John Deere Power steering Pump 520 530 620 630 720 730 PN AF1904R This is a takeoff pump no guarantee of working condition. No brakes or repairs on the housings The splines look good. 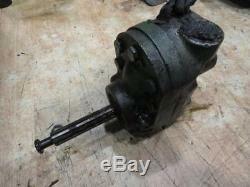 John Deere Power steering Pump 520 530 620 630 720 730. 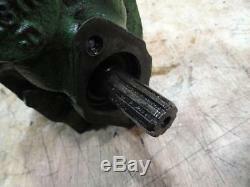 This is a takeoff pump no guarantee of working condition. No brakes or repairs on the housings. Parts Inquiries and General Questions Welcomed! Styled A B G 50 60 70 520 530 620 630 720 730. ALL INVENTORY IS NOT LISTED ONLINE PLEASE CALL. Be sure to add me to your favorites list. Get images that make Supersized seem small. 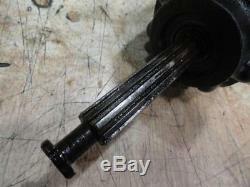 The item "John Deere Power steering Pump 520 530 620 630 720 730 PN AF1904R" is in sale since Friday, October 5, 2018. This item is in the category "Business & Industrial\Heavy Equipment, Parts & Attachments\Heavy Equipment Parts & Accessories\Antique & Vintage Equipment Parts". The seller is "millertractoron480th" and is located in Kalona, Iowa. This item can be shipped worldwide.